“Firsts” in prison can be especially memorable: the first time you meet your cellie, or leave the prison for medical treatment, or run your first marathon. Alongside these tales, Adnan Khan shares the story of his first visit from his mom, 13 years after he was incarcerated. Thanks to Adnan Khan for sharing his story and Shane, Michael Thompson, Rahsaan Thomas, Jason Jones and Antwan Williams for also sharing their firsts. Ear Hustle is produced by Nigel Poor and Earlonne Woods. Outside producer Pat Mesiti-Miller comes inside to lead the sound design team. This episode includes music by David Jassy, Antwan Williams, Joshua Burton & Dwight Krizman Our story editor is Curtis Fox and executive producer for Radiotopia is Julie Shapiro. Find out more about the show at earhustlesq.com where you can also buy a brand new EH t-shirt! Ear Hustle is a proud member of Radiotopia from PRX. Eternal thanks to Lt. Sam Robinson and Warden Ron Davis for supporting the show, and to our sponsors Burrow and NECTAR Sleep. As the annual Radiotopia fundraiser wraps up, we bring you one final missive of the year, including an appeal for support, a chance encounter and a musical offering from the inside. In prison, life’s major milestones usually pass at a distance. In our season three finale, Earlonne gets up close to a big one, while his brother’s family struggles with having missed out on too many. Despite the additional hurdles involved, daters in prison fall into the same categories as daters on the outside: romantics, hopefuls and players. Being an immigrant in an American prison can pose unique challenges, like deciding which racial group you’ll identify with. But sometimes the biggest hurdles don’t become apparent until the day you are released. Ready for more stories about life inside? We bet. Season three of Ear Hustle drops September 12. In the meantime, enjoy this taste of what’s to come. 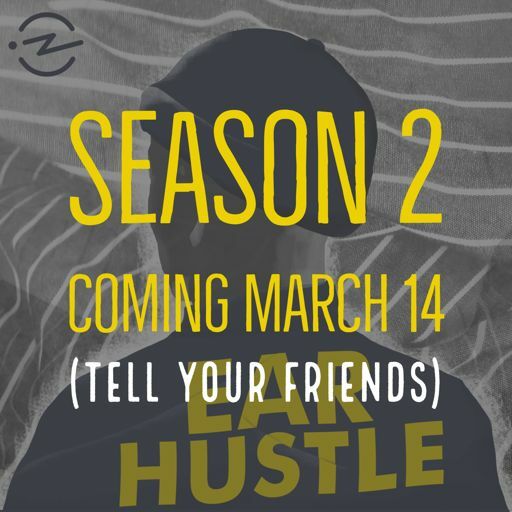 Ear Hustle is back March 14th! To tide you over until then, here’s a taste of season two. There are only a few ways to leave prison: serve your time, get out early on parole... or escape.